Hey there! Welcome back to our series of ’10 Interesting Facts in India’. We’ve been long piling up an informative listicle on bigger personalities that have resonated the Indian history till date. Continuing along with our series of facts, we’ve coasted along with the legendary Sarojini Naidu in this blog. Often designated as the Nightingale of India, Sarojini Naidu was an Indian activist and poet. A part of the glittering rhetoric in Indian literature, Sarojini Naidu has been regarded as one of the best India had to offer. Her Indian-themed poetry and works have been regarded in high stance by all her readers. She has enjoyed a status of Nightingale by the sobriquet. We’ve unearthed facts from her life and created a listicle based on her transition along the life’s phases. We hope to intrigue you throughout the post with some quick trivia and more. Let’s take a look at the list, then! Shall we? She was born on 13th February in 1879 at her parental home Bikrampur. The place lies in present day Bangladesh. Her parents were Aghore Nath Chattopadhyay and Barada Sundari Devi. Her father was a doctorate of Science from Edinburgh University who settled into Hyderabad. It was her father who founded and administered the Hyderabad College which came to know as Nizam’s College later on. Sarojini Naidu received ascholarship at the age of 16 from Nizam of Hyderabad. She then went to King’s College in London and shifted to Girton College in Cambridge for her further studies. It was during her stay in England, whereby Nobel Laurate Arthur Simon and Edmond Gausse convinced her to stick to Indian themes. 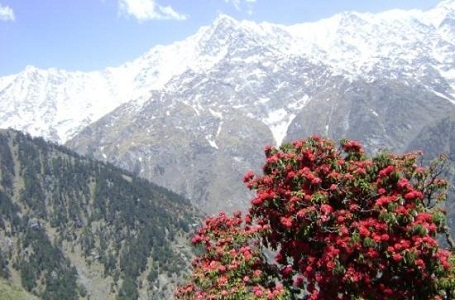 She took upon the advice and depicted Indian contemporary life and events in her poetry. Sarojini Naidu was married at the age of 19 with Govindarajulu Naidu, a physician. The couple had five children out of which Padmaja, her daughter became the Governor of West Bengal. Her daughter was also part of the Quit India movement later on in her career. 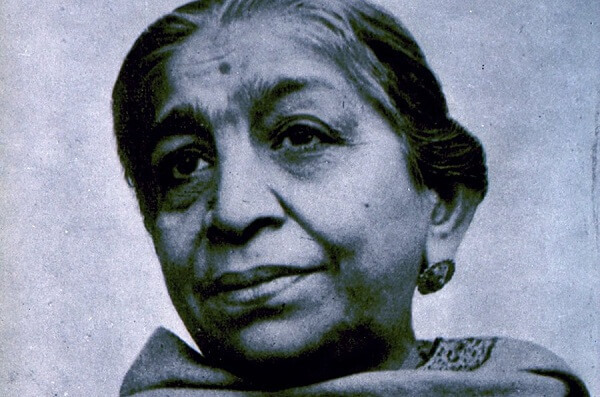 Sarojini Naidu served as the governor of United Provinces of Agra and Oudh from 1947 to 1949. She became the first women governor in the history of India.Speaks volumes of her attributed and abilities. It was in the year 1925 when she took over the presidency of Indian National Congress at Cawnpore (Modern-day Kanpur). She was part of the Indian National Movement during the partition time of Bengal in 1905. She actively participated during 1915-1918 travelling to multiple places across the nation spreading welfare and more. She also established the Women’s Indian Association (WIA) in 1917. She was a part of salt satyagraha in the year 1930 and later participated at Round Table Conference with Mahatma Gandhi and Madan Mohan Malaviya in 1931. Sarojini Naidu has been commemorated through naming several institutions after her. A few such institutions are Sarojini Naidu College for Women, Sarojini Naidu Medical College, Sarojini Devi Eye Hospital and Sarojini Naidu School of Arts and Communication, University of Hyderabad. Having born into a cultured and educated family, she stepped into literary track quite early in her life. Her mother was a poet herself and used to write poems in Bengali. Sarojini Naidu wrote her first piece of the literary piece as a play titled ‘Maher Muneer’ which impressed the Nawab of Hyderabad. She released a collection of poems in 1905 while a collection piece was released posthumously in 1961 by her daughter. Sarojini Naidu has been an exemplary figure in the Indian literature. A few of her literary works are Damayanti to Nala in the Hour of Exile, Ecstasy,The Indian Fantasy,IndianDancers* The Indian Gypsy, In The Bazaars of Hyderabad, The Queen’s Rival, The Royal Tombs of Golconda, The Snake-Charmer and more. Her other literary works include The Golden Threshold, The Bird of Time: Songs of Life, Death & the Spring The Broken Wing: Songs of Love, Death and the Spring, The Feather of the Dawn and more. Sarojini Naidu has been regarded as one of the best personalities of India and rightly so she deserves the accolade. We hope you had a great time reading along the list. We shall be back with another entry into the series the next time round. Adios.